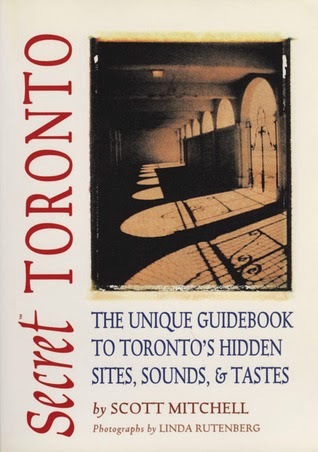 From Goodreads ~ This detailed guide leads travelers far from the beaten path to uncover Toronto's best-kept secrets. From obscure museums and overlooked neighborhood treasures to tucked-away green spaces and exotic ethnic cuisine, these little-known destinations yield big rewards for the more adventurous traveler. The soul of this cosmopolitan city is highlighted by hotspots where visitors can learn Latin dancing at night, disco after hours, and rent a private dungeon at an S & M bed-and-breakfast. Toronto has so much offer and I love checking it out. This book caught my eye because it sounded like it would talk about the out-of-the-norm things here in Toronto ... and it did. The "secrets" are listed alphabetically. It starts off with acoustics and ends with 'zines. In between you can get bits of info on where to find belly dancing, chocolate, make-up, pool, plane spotting, the walk of fame and a lot more! In 1987, a little-known Toronto band called Cowboy Junkies married the voice of singer Margo Timmins to the natural acoustics of a little church in downtown Toronto and recorded the groundbreaking Trinity Sessions album. Now overshadowed by the mammoth Eaton Centre and easily overlooked, the lovely Church of the Holy Trinity(Trinity Square, Yonge and Dundas, accessible from the Eaton Centre exit at the south end of Eaton's or from the park at Bay and Dundas West, 416-598-4521) was once the central fixture of a working-class "suburb" of York known as Macaulay Town. Completed in 1847, Holy Trinity had the distinction of being Toronto's first Anglican church where the pews were entirely free, a condition set by an anonymous benefactor (an Englishwoman whose identity was not revealed until 1898). The rectory and garden of Holy Trinity now offer a secluded, peaceful retreat from the frenetic shopping mall. Services are still celebrated in the church, which hosts plays and concerts, including the annual Christmas pageant (a tradition for more than 60 years). The version I read was printed in 2002 so a lot of the places aren't around anymore (like the Matador, an after hours bar not far from my 'hood that is now being developed into condos) but it was fun to be reminded of them. Other places (like Sunnyside and Gilbraltor Lighhouse) are still around and it was interesting to get a brief history. Because the book is so dated (I couldn't find one more recent), I wouldn't use it as a definitive guide but it did give some interesting places to check out. That would come in handy if I make it up there anytime soon!